Whatsapp is dominating the market as a free messenger from past 2 years. You just want internet connected to your device, and you are done. Almost every OS platform has whatsapp application, including Android, iOS and blackberry Smartphones. App developers have good control over android OS, because it’s open source and powered by Google. It is Google’s specialty that it takes care of its users and developers both. 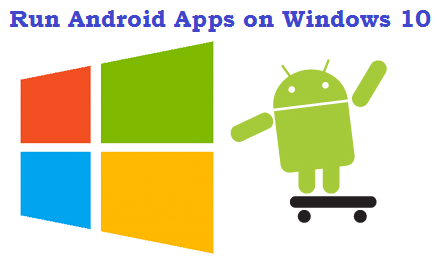 It’s easy for Android developers to create apps, as compared to iOS developers. Because of this, whatsapp has many built-in options for Android, but not for iOS. 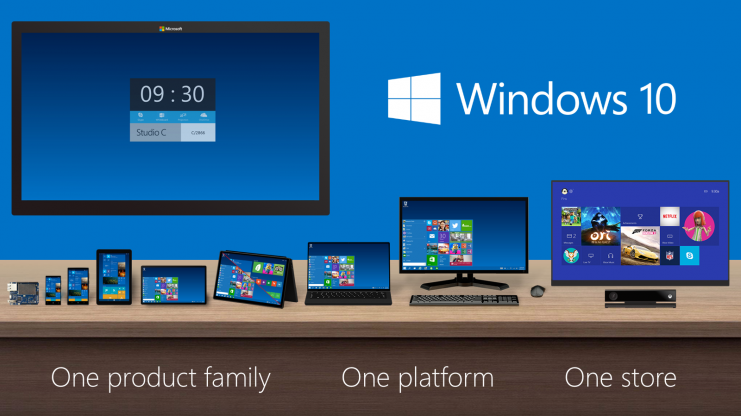 Also bluestack allows Windows and Mac users to run Android apps on their computers, while no such emulator is available in the market for iOS. 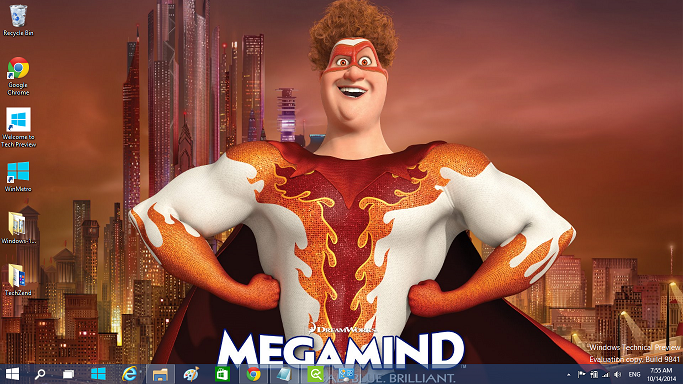 If you want to install whatsapp on your Windows PC then follow my previous guide for help. I normally use whatsapp to send videos and photos to my friends, but yesterday when I tried to send music from whatsapp using my iPhone 4s running iOS 7.0.4 (Not Jailbroken) but I didn’t find it. After having an eye on it, I tried it on my Samsung galaxy S3 mini and found that Android has built-in option to do this. After a quick research I found a way to send music files from whatsapp, which is a little bit tricky. Related Topic: Collection of Google drive like cloud storage apps. 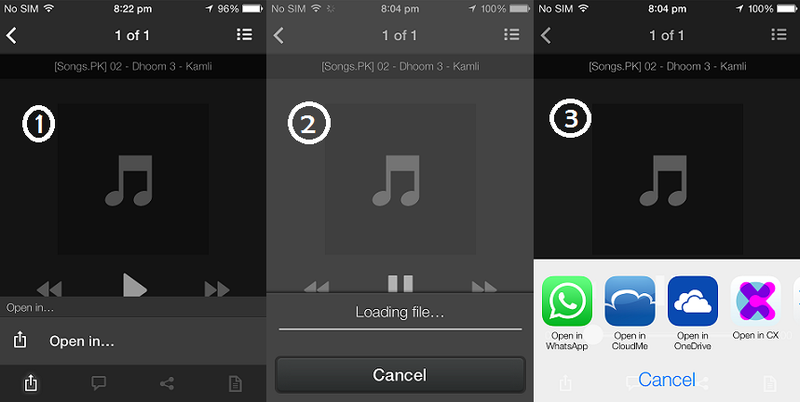 Below are the methods to send music files from whatsapp. Sharing music files via WhatsApp is easy now, because Nitin Gohel an iOS apps developer has launched its app to share music and jokes via WhatsApp, you can send music files with its free version and in paid version you can avoid advertisements. Moreover, I’ve talked one other developer and he has told me that he is going to share another iOS app that will allow users to change their Whatsapp status automatically after every 12 hours, that app will be powered by pingzic. Step 1: Download shareapp from here. Step 2: Open it and click on songs’ tab and it will show all of your songs from your native iOS music app. 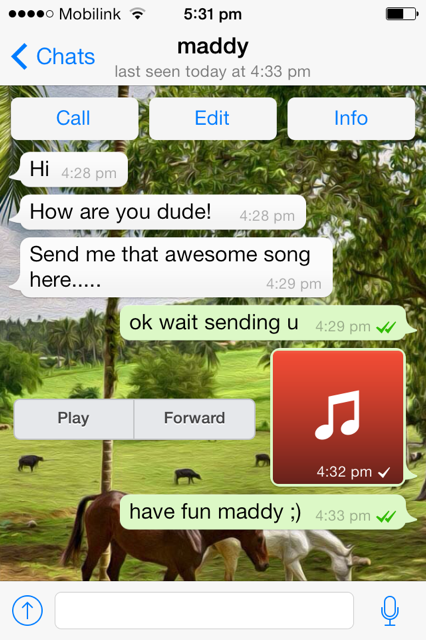 Step 3: Tap on song’s name and you’ll get the option to send it via Whatsapp, choose this option and your song will start sending. The first thing you are required to do is to install Google drive on your PC. If you don’t want to install it, then open it online by clicking here. You must have a Google account to perform this task. Step 1: Login to your Google drive and upload your desired songs in it, by selecting the upload option from the top left of the screen. 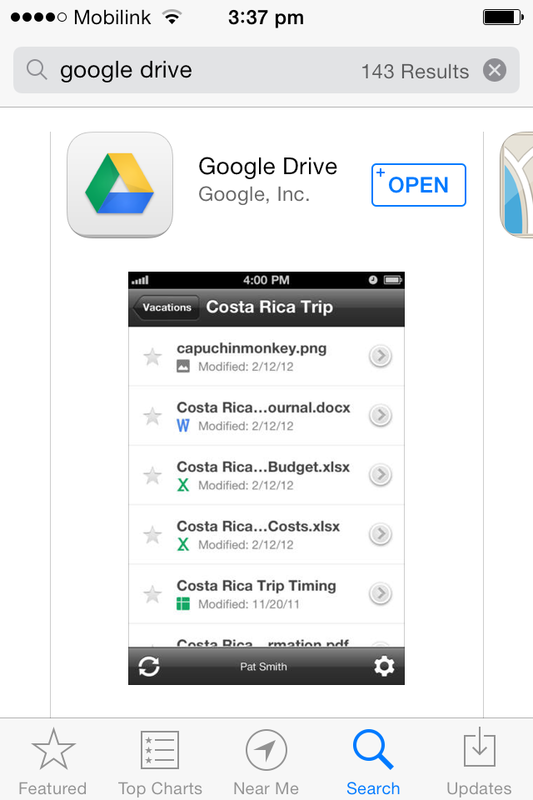 Step 2: Now install Google drive app on your iPhone, iPad or iPod touch running iOS 7x or any previous version. 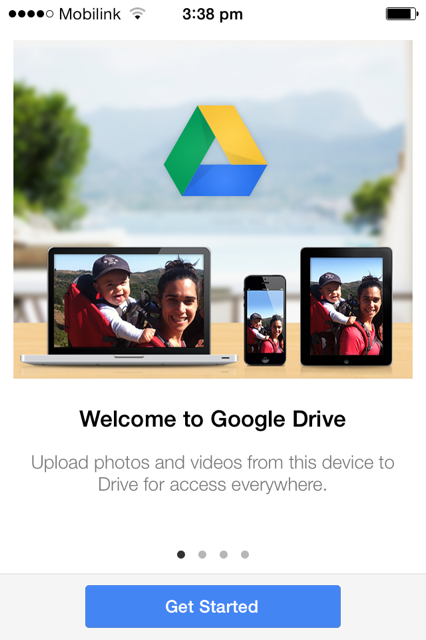 To do this, go to the app store and search “Google Drive” and install the very first Google drive app. Step 3: After installing it, login to this Google drive app with the same Google ID, previously used on your desktop. Just after login, you will see all the uploaded songs previously uploaded from your PC. Step 4:In front of the song title, there is a help/options icon on the right side, click on that. Step 5: Now from the menu, select the option of “open in…” and you will see whatsapp icon after few seconds in a pop-up window. 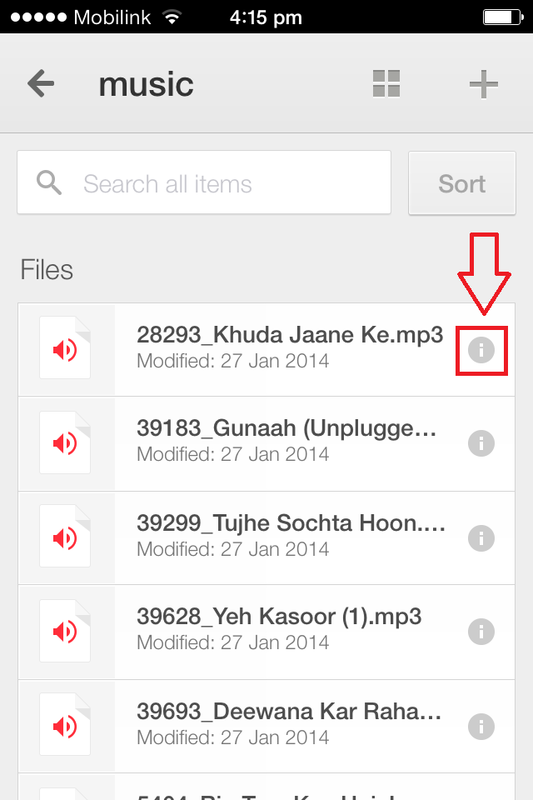 Now select the person to whom you want to send the file and your music file is sent successfully via whatsapp. This worked for me once..u nw when i click on open using another app, it will just keep loading.and nothing happens..plz let me knw wht is solution fr this?? You should wait for some time because it’s because of file size you are trying to send. Try to send a low sized file, it will be done soon. It helped… Worked on dropbox too. The process takes a very less amount of time, and that too in the sync part. Thanks a lot!! It worked for me too! Thank you for sharing and for your clarity. You are genius man ..i was searching for a fix since ages ..i am so happy now and indeed it was very simple and helpful..Thanks a lot !!! Thanks sahil, I’m glad it helped you. You must be lacking somewhere in the above tutorial, make sure your WhatsApp app is working fine and also follow the above steps again. Also don’t forget to upload music files to google drive. I’ve also had this problem it says their are no apps installed in your phone to open in can you please help me I’ve re read the instructions but i don’t see it? Here are some apps to download music: http://www.zeropaid.com/news/102320/top-5-iphone-apps-for-downloading-free-music/ these may help you. i cant download google drive in my iphone 4S. what other solution that i can send music to whatsapp? 2: login to box’s account in browser by opening: https://www.box.com/ and upload all your desired music files from PC. 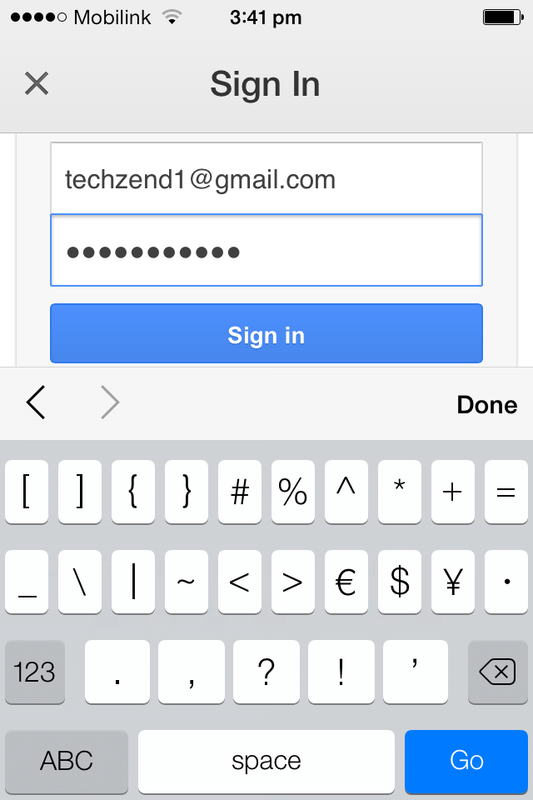 3: After successful upload, access your box’s iOS app on your iPhone. 4: Here you’ll see all of the music files, you have uploaded earlier from PC’s browser. 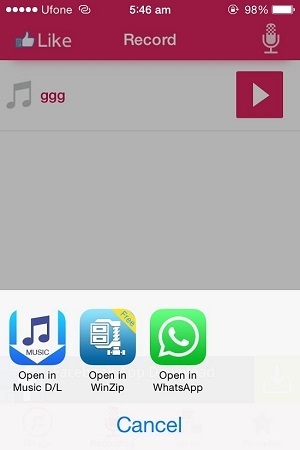 5: Open the music file and tap on “Open in” button available at the left hand side of the box’s screen. 6: Open the file in WhatsApp and send it to your selected person. See the attached image for guidance. Thanks for the tip drMyasir, I’ll test and add this method too in the above article. Thanks Hammad rafique i so was tired to send mp3 in whatsap from I phone finally got solution it’s work!! Hey, I have few songs in my what’s app. I want to move all these to songs library . Could you please let me know how to copy it? I am using iPhone 4S running in iOS 7. You are welcome sanjay thakurel! I’m happy that it helped you and saved you from buying iTransfer app. Apology! I didn’t get your point, do you want to download songs from whatsapp that you have received from other friends? Or you want to download your own songs that you have sent to others via whatsapp? As i tried ur method & itransfer both.. 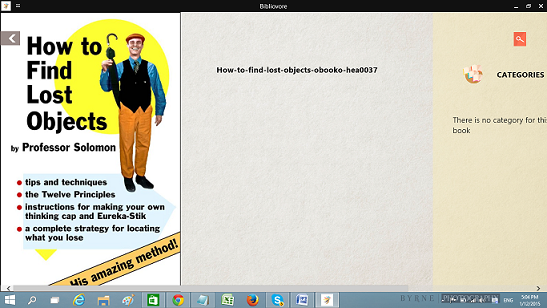 It gas a same procedur ur method follows through google drive.. While itransfer app follows through Drop Box. Ultimately its a same way… Hope we cud find much easier way of this problem soon..
w.s Sahil! You’re right that both methods are almost same, I think we should wait for WhatsApp team to indulge this feature in new WhatsApp. I think they are facing the issue with iOS (It’s not open source) while on Android devices WhatsApp has built-in feature to send music files. Let’s wait and watch what happens after iPhone 6 and iOS 8 launch. Yup! you’re right, I’ve added the link in the article that’s providing details about WhatsApp+ tweak, but this article is especially for non-jailbroken iDevices. This is amazing trick to send files on whats app. Thank you so much. I tried this on my jailbroken iPad. 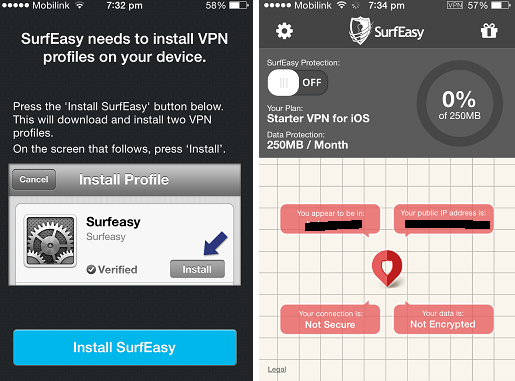 It also works with “iZip” app available for free on App Store. thanks for this amazing method……works fine…. But how can I send a song from my cellphone to whatsapp without using a PC ?! Is it the only way ?! I should first find my fave songs on PC , add them on cellphone and then send them to a friend ? Thanks for telling the procedure via Google drive. I observed when we select the option “OPEN IN” it takes too much of time. Is there any way to reduce the time ? 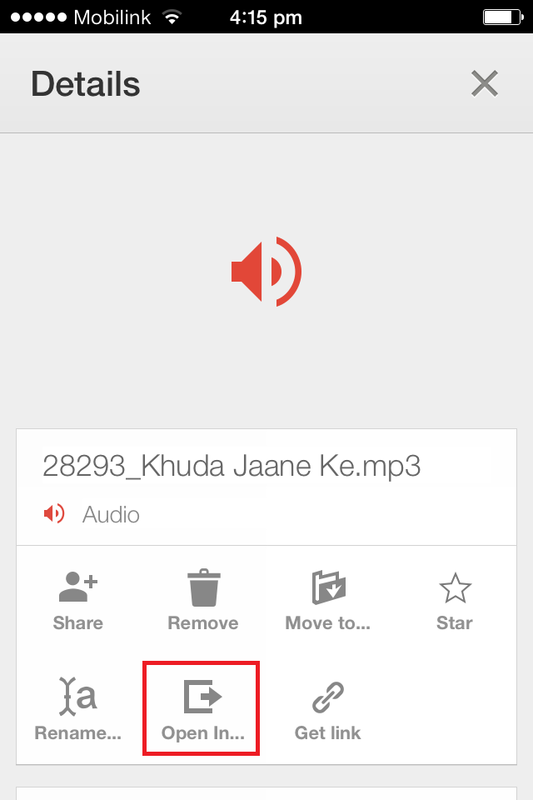 if you send song in iphone to whatsapp download Fsharing app in apps store. simple way to share music and etc. Friends! Songs downloaded from whatsapp where it goes??? Thank you so much… you are awesome dude .. It didn’t worked on my iphone 4s i followed all the steps but was not able to send it coz in my phone no option is coming of open in whatsapp.